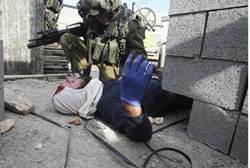 "The destruction of vineyards in the Binyamin region of Samaria sparked a confrontation Tuesday, in which an Arab mob abducted and violently beat 30 Jewish residents, leaving several of them injured. "MK Moshe Feiglin (Likud-Beytenu) criticized Defense Secretary Moshe Ya'alon for ordering the destruction of the vineyards which riled up both sides. 'Border police raided many large vineyards in the Shiloh valley this morning, using the wretched instrument termed Disruptive Use Order,' reported Feiglin to the Knesset, referring to orders allowing the IDF to seize Jewish land despite no Arab claims to it. The Levy Report found the orders to be illegal and draconian, recommending their discontinuation. The police 'uprooted the seedlings, seedlings of Jewish residents in the heart of the land of Israel, that are not planted on anyone's private property,' noted Feiglin. One of the ambushed Jewish men told Arutz Sheva that they were ambushed and blocked in by trucks while walking between Esh Kodesh and Givat Hayovel. "The Arabs gathered us into one place, tied our hands and legs, and beat us cruelly," reports the man, noting that he passed out from the abuse. 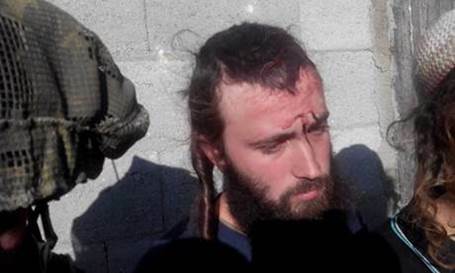 After the IDF arrived and convinced the PA Arabs to release their captives, the man relates that an officer justified the attack, telling him "you came to do a 'price tag' and now you're going to get it." Jews living in Judea and Samaria have widely been blamed for "price tag" attacks - nationalistically-motivated vandalism targeting Arab-owned property - even as evidence shows that local residents are not behind most of the vandalism. Further, many such vandalism acts are done by Arabs to frame Jewish residents, while yet other "price tag" attacks by Arabs targeting Jews go ignored.